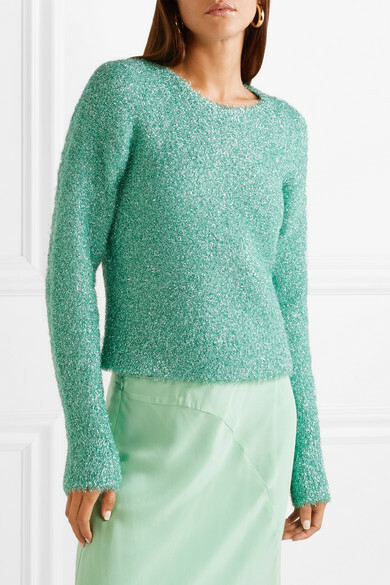 Sies Marjan's Sander Lak has been described as one of the leading colorists in New York - the refreshing jade hue of this sweater has us convinced that he really is. 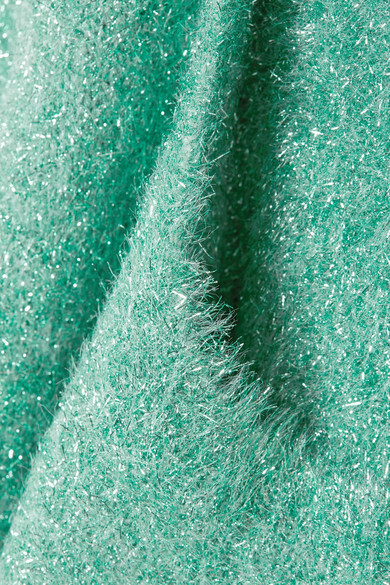 Woven with strands of Lurex, it has a crew neckline and is cut in a slightly loose silhouette. 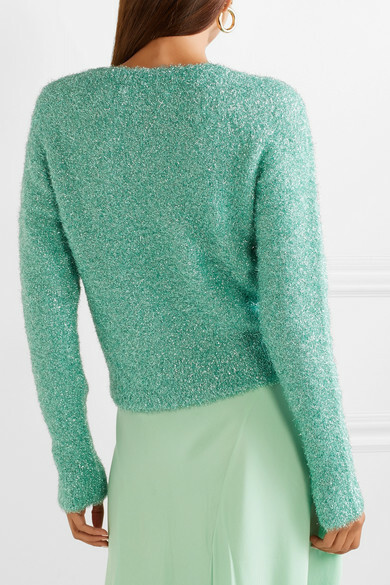 It looks particularly chic when teamed with a tonal skirt or tailored pants. 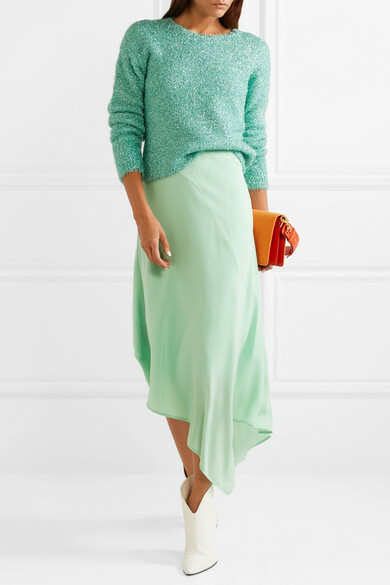 Shown here with: Sies Marjan Skirt, JW Anderson Shoulder bag, Magda Butrym Ankle boots, Jennifer Fisher Earrings.